3 Green Ambassadors solving the challenges! Green Ambassadors Europe drives initiatives to teach, educate, share facts and inform about the growing number of both innovative solutions as well as long time known facts about sustainable living, work and ways to optimize the use of natural resources in resilient ways. We invite you wherever you live and work in Europe to join in and share ideas concepts and projects along the above critical mission and objectives for over 500 million people all over Europe and all the rest of you on this small beautiful and unique planet called Earth. Together we can better protect and care for all the fantastic life critical aspets that we are so dependent on for our daily life - clean water, - air, -food, -energy, -transportations, -housing among others. This particular Green Ambassadors project focuses on the reduction of short lived fossil based plastics materials like plastic bags, plastic foils and plastic packaging materials for food, products etc. and the replacement of these non sustainable and life hazardous plastic materials ending op in our nature, our seas and lakes, in landfills or in toxic emissions from incineration plants. Green Ambassadors Europe helps you to the knowlege how to transofrm to better materials and habits in all areas our your professional and private life. Green Ambassadors Europe are also backed by a global network of partners and leading change makers which is your backing and support will have global impacts. Welcome to join us in our mission to help countires, governments, business sectors, industres and people to reduce the plastics with sustianable materials and to work together for a sustaianble and resiliant future for all. 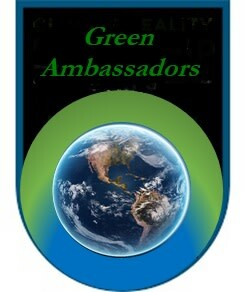 With best regards, the Green Ambassadors Europe Team.